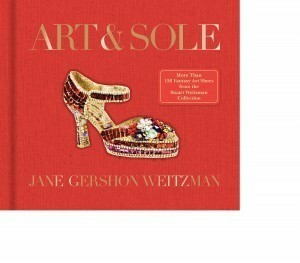 As a mother of two, and the wife of shoe designer Stuart Weitzman, Jane Weitzman created the perfect gift for Mother's Day and shoe lovers alike with Art & Sole. Art & Sole features 150 fantasy art shoes made of highly unique materials she has discovered and commissioned by artists over the last years for the Stuart Weitzman display windows. In addition to Mother's Day Art & Sole also makes a great Thank You gift for a host during the upcoming Memorial Day weekend. Sticking to her philanthropic roots Jane will continue to donate 100% of profits to Ovarian and Breast Cancer Research. 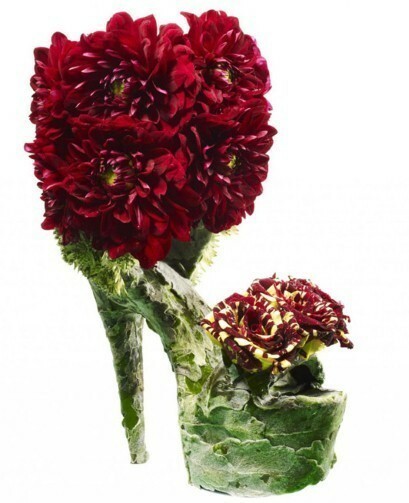 My Experience: As a shoe-lover and an admirer of stunningly creative works of art, I could flip through this book and stare at the amazing photographs all day long. It just blows me away to see the various types of materials that the artists used in creating their masterpieces. 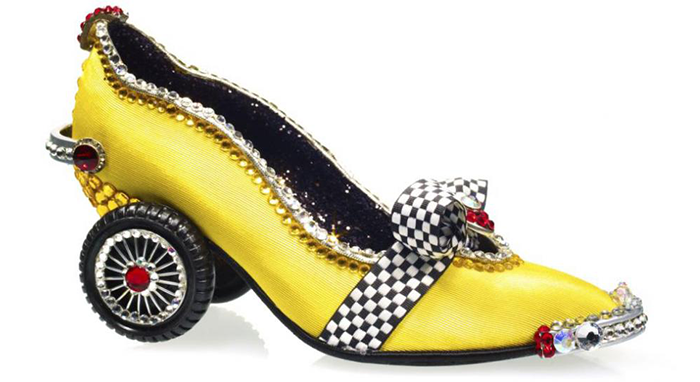 You'll see shoes made of all types of things, including feathers, paper, ceramic, metal, Plexiglas, resin, playing cards, wire, cotton, poker chips, fresh flowers, and even frosting! My eighteen year-old daughter is an aspiring artist and has already gleaned some inspiration from Art & Sole that she will apply to a sculpture she is planning. We love this book! I received a copy of this book to review and to keep. All opinions are my own.